Amazon has unleashed its robotic delivery system in a suburban neighborhood in Snohomish County, Wash., just north of Seattle. The cooler-like robot on wheels rolls along the sidewalks and makes home deliveries. Amazon calls the system “Scout” but it closely resembles a system created by London-based Starship which was tested by the McMillon Innovation Lab at the University of Arkansas nearly three years ago. Amazon said customers in Snohomish County order just their items online and either Scout or one of the retailer’s other delivery partners will make the delivery. Amazon said it is testing six of the rolling robots that will make deliveries Monday through Friday during daylight hours. 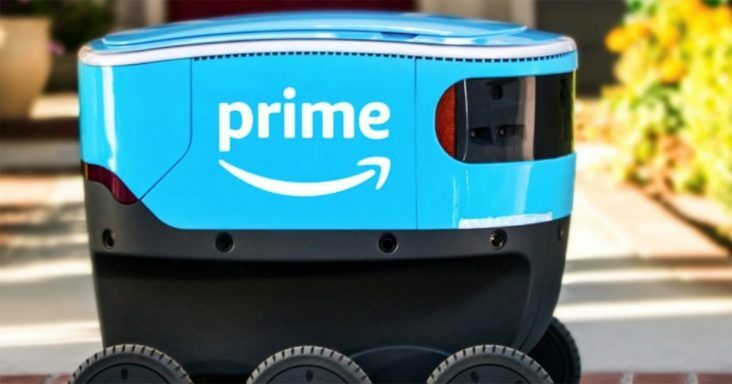 The devices will autonomously follow their delivery route but will initially be accompanied by an Amazon employee. Scout was developed in Amazon’s innovation lab in Seattle and was tested on the company’s campus proving it could safely maneuver around people and pets in its path. “We’re delighted to welcome Scout into our community. Similar to Amazon, we are always looking for new ways to better deliver service to our residents,” said Snohomish County official Dave Somers. Sean Scott, vice president of Amazon Scout, noted in a recent blog the company will continue to innovate delivery solutions and anticipates key learnings over time from this first neighborhood.